People who have read my Konigsburg series may notice there’s a lot of cooking and food there. Chefs are involved in almost all my books, either as heroes/heroines (Fearless Love) or as supporting characters (Venus In Blue Jeans, Brand New Me, Don’t Forget Me). There are a couple of reasons for this—I love to cook and I love to eat, one reason I have a treadmill in my basement. My newest book, Bolted (released by Samhain on April 2), has a pastry chef heroine who ends up as the chef de cuisine at the Hotel Grand, Tompkins Corners, MA. But just for a week. My heroine, Greta Brewster, is the matron of honor at her brother Josh’s wedding. Just before the bride and groom exchange their vows, however, the bride’s ex shows up and spirits her away. 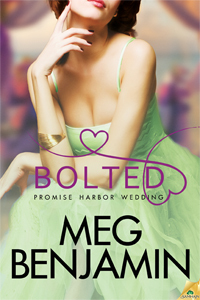 Bolted is part of the Promise Harbor Wedding series, so you can find out more about that wedding and its aftermath from my coauthors Kelly Jamieson (Jilted), Sydney Somers (Busted), and Erin Nicholas (Hitched). The disastrous wedding leaves Greta with some time to kill and a big problem—her own marriage has just ended in divorce and she hasn’t yet figured out a way to tell her mother about it. 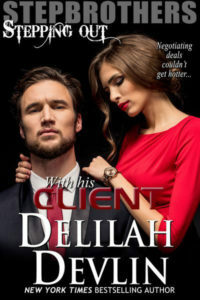 She’s committed a lot of impulsive acts in her life that haven’t turned out well, and her broken marriage seems to be one more link in the chain. 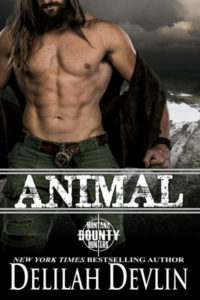 She decides to take a drive and stumbles across a hunky archaeologist who needs help getting free from a collapsed wall in his dig (don’t you hate it when that happens?). One thing leads to another and Greta ends up offering her services as a cook at the local hotel in exchange for a week’s vacation so that she can try to figure out what to do with herself. Since Greta spends the week cooking—when she isn’t having a good time with that hunky archaeologist, Hank Mitchell—I needed to come up with a few menus. A lot of the cooking scenes happen at breakfast, so I searched up some recipes for applesauce muffins, sour cream pancakes, and French toast. But Greta’s a pastry chef, and I needed a couple of show pieces for her to bake. Cookies were easy enough, but I wanted something that would show you Greta knows her stuff. Around that time, I saw an old episode of “Best Thing I Ever Made” on Food Network where Anne Burrell made a rose geranium cake. Bingo! I already had a herb garden in back of the hotel (one of the eccentric hotel owners makes organic hand creams and lotions), so I let Greta do her thing, courtesy of Anne. If you’re curious, the recipe can be found here. The other cooking Greta does was less unique. She makes chicken Marengo one night because it has an interesting backstory—Napoleon’s cook made it by foraging the countryside after the battle of Marengo. Another time she makes chicken in sherry mushroom sauce because that happened to be what I was cooking the night I wrote the scene. Hank, being one of those well-nigh perfect heroes, loves everything she makes, but then he comes to love Greta too, and not just because her cookies really rock. Greta’s cooking actually becomes a way for her to break out of her cycle of impulsive-act-followed-by-grief, but it requires her to make one more, really major impulsive decision. She makes the right choice. But first she makes lunch. Hey, nobody said HEA can’t be accompanied by a BLT. This entry was posted on Monday, April 1st, 2013 at 7:19 am in General. Tagged: Guest Blogger. You can feed this entry. Both comments and pings are currently closed. Thanks for sharing. I hate to cook but love to eat! Thanks Teresa. I find it’s easier to eat well if I do my own cooking! I love to cook and love to try out new recipes. This book looks smoking hot and super good. I cant wait to read it. My feeling is cooking is all about following directions. As a former teacher, I can do that! The book sounds wonderful…can’t wait to read! LOVE to cook and eat…not so much on clean up! My hubs has accepted the clean-up role–which seems only fair to me! I am not much for cooking. When I do I also like to try new things. There was a book I was reading awhile ago that gave the recipe out. The character was saying it out loud as she was doing it….Which was really neat. Gave me a new one to try.